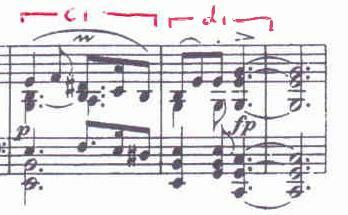 Schubert starts with a 2-bar phrase. followed by another longer phrase using b3 another variant of b1 and this final extension repeats to close the opening paragraph. 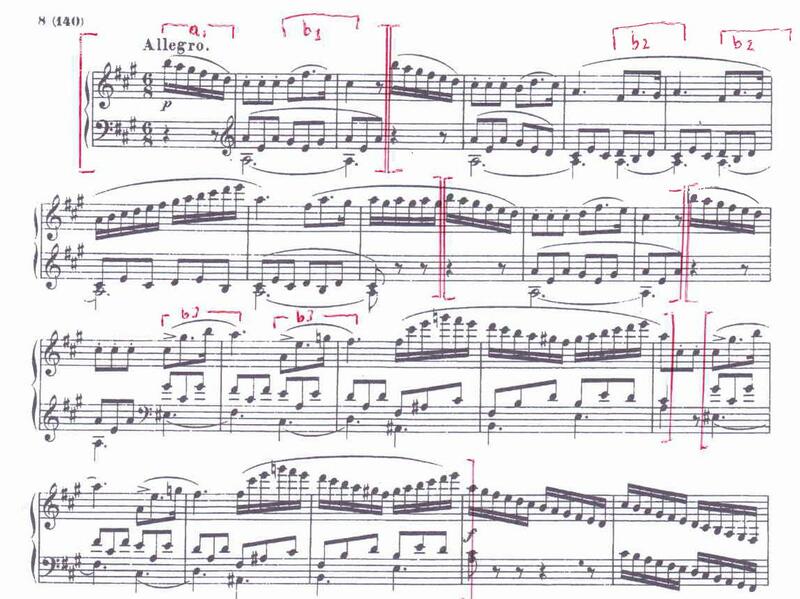 In the development section, Schubert plays around with the opening descending scale (a1) (page not displayed) and one could see the descending scales here as linked to that idea. The suggestion that I memorize these 2-pages led me to this analysis and I have gained more understanding from doing so and strengthened my memory of them. I recommend it. This entry was posted in Piano and tagged Schubert D.664. Bookmark the permalink.